Towards end of July, I published a goalkeeper football game on Google Play. It was a totally new football game with a simple gameplay where you control the goalkeeper gloves to stop the football from going into your goal. I decided to share how the downloads growth went, how it ranks, and most interestingly, how much money the game generates via in-app advertising. The game has now broken the 50k downloads mark, and my sights are now for it to breach the 100k downloads mark before the 30-day window for a new game ends. Though my original wish was for a million downloads, looks like that isn't quite gonna happen this time around. The game has gotten to top 20 new sports games category in many countries. It also has finally gained into the top 100 Sports Games category in a bunch of countries, lucky 13 so far according to AppAnnie. The game is ranking in many non-tier 1 countries, thus revenue potential is lessened. 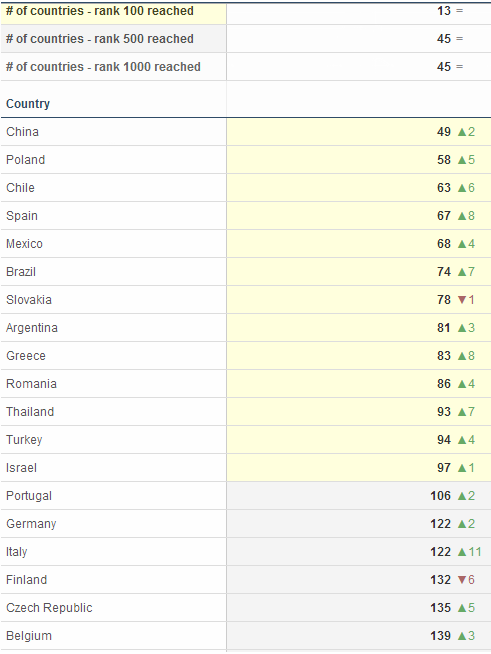 Overall rankings are going OK, and has similarly affected the download count. Unfortunately it isn't ranking high for its keywords, which means once this 30-day window ends, I will be seeing a big drop in downloads, unless it can gain some good footing in rankings in the sports game category. From the looks of it, that isn't likely gonna happen either. The game has come close to getting 5k daily downloads. Total right now is above 53k downloads. The chart isn't steep enough to show that there is much momentum in this, thus I am not too confident there will be any break out downloads. The English Premier League is starting soon, likewise other European football leagues, so I do hope downloads and interest in this game will pick up somewhat. Right, the game has so far generated $447 (inclusive current day revenue). There is some further ads optimisation that I am trying out, and hopefully the rate of money generation will improve. App monetisation is only using Heyzap's interstitials and video ads. Impressions are steadily improving, generating around 30k daily impressions right now. We'll see how it goes from here on.